We are a distinguished name engaged in offering optimum grade Copper Rods. Copper Rods have an extensive application in seam welding wheels, electrical switch gears, electrode holder jaws, heat exchangers, etc. 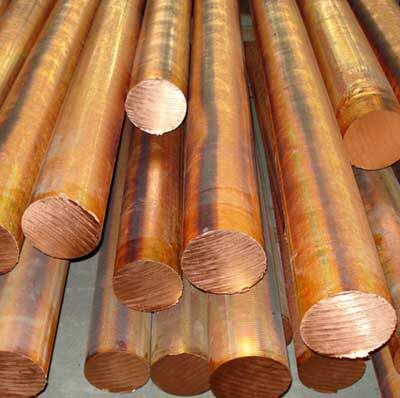 The Copper Rods offered by us are attributed with excellent strength and exceptional hardness. Also, these Copper Rods do not deform at high temperature. Moreover, clients can avail the Copper Rods from us in several specifications at very reasonable prices.